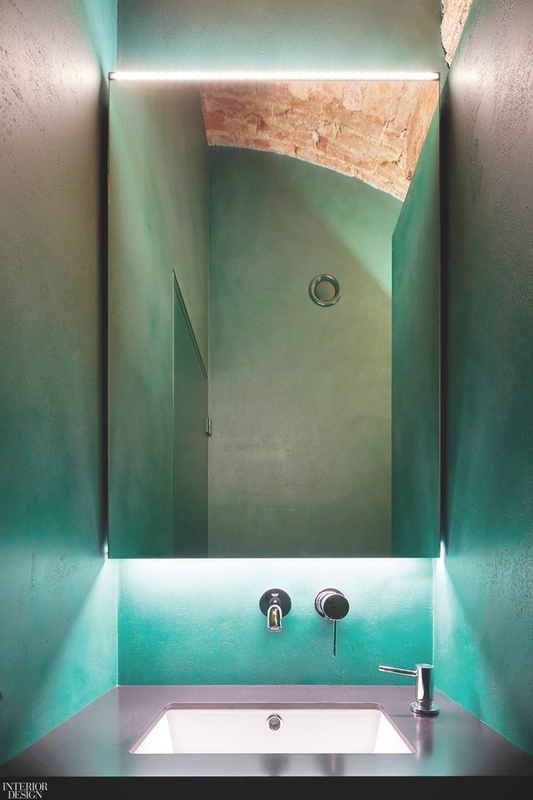 Europe has a range of interior aesthetics, from historically accurate to modernly abstract—and sometimes just cool or cozy. 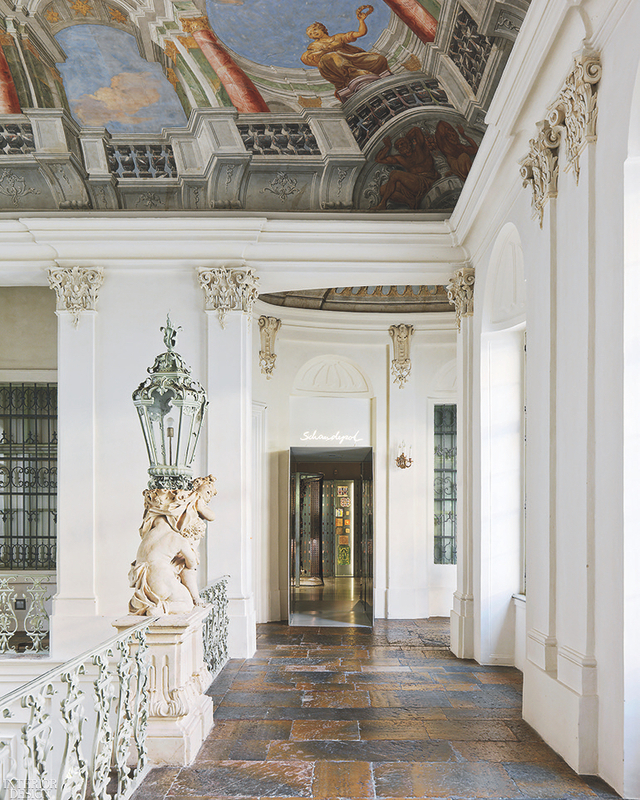 Enjoy the 10 most recent design projects we've discovered throughout Europe. 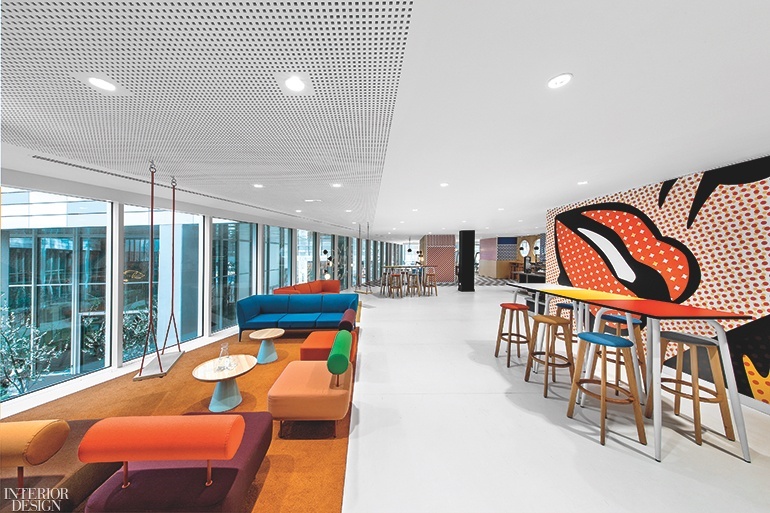 In the Pop Café, stools and high tables by Les Gambettes coordinate with a custom vinyl mural inspired by Roy Lichtenstein artwork. Over the staircase, a 1750s addition, the ceiling fresco attributed to Styrian 18th-century painter Philipp Carl Laubmann depicts Olympian gods. 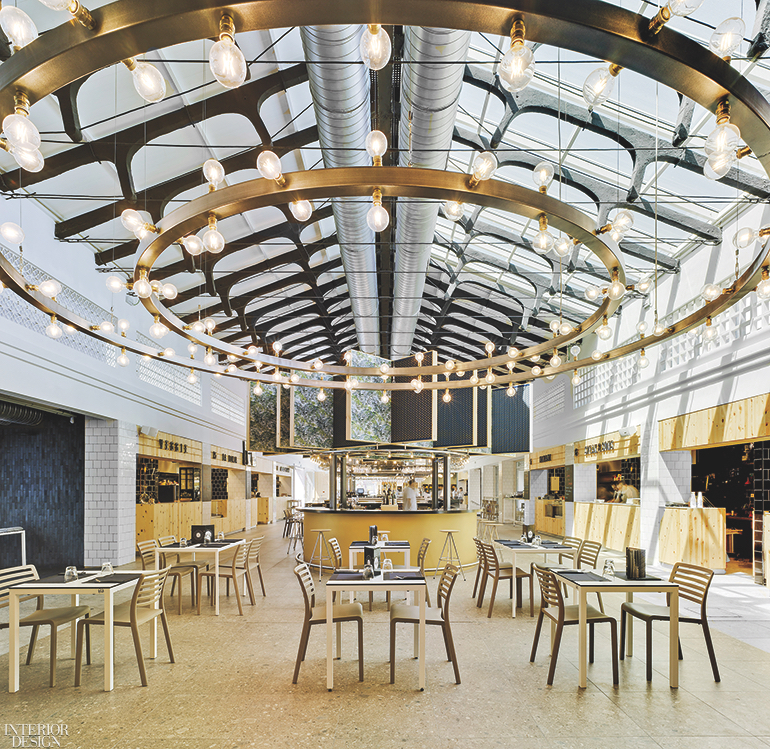 Enormous circular steel chandeliers punctuated by bare Edison bulbs define seating areas below. Suites outfitted with custom furniture have their own identity while integrating into the larger project via color coding and graphics. 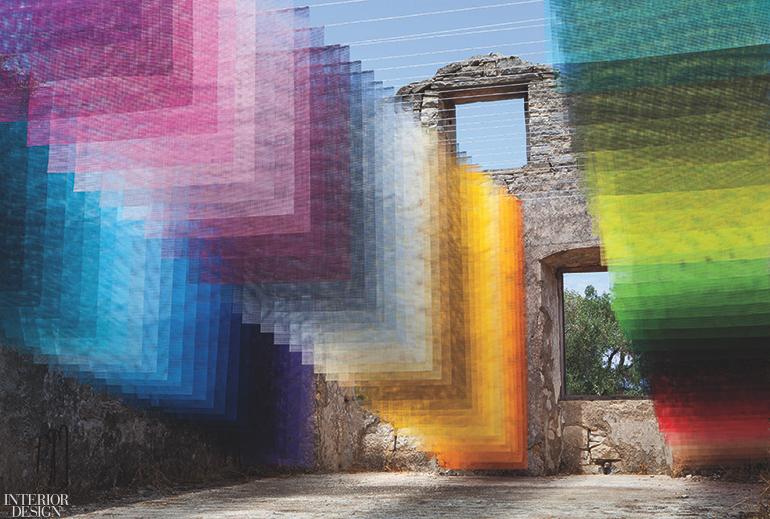 Custom mesh panels in varying sizes were spray-painted, sewn onto steel wires, and hung across the ruin from dowels. Solid-surfacing tops the vanity in a guest room, three of which have a different color scheme. 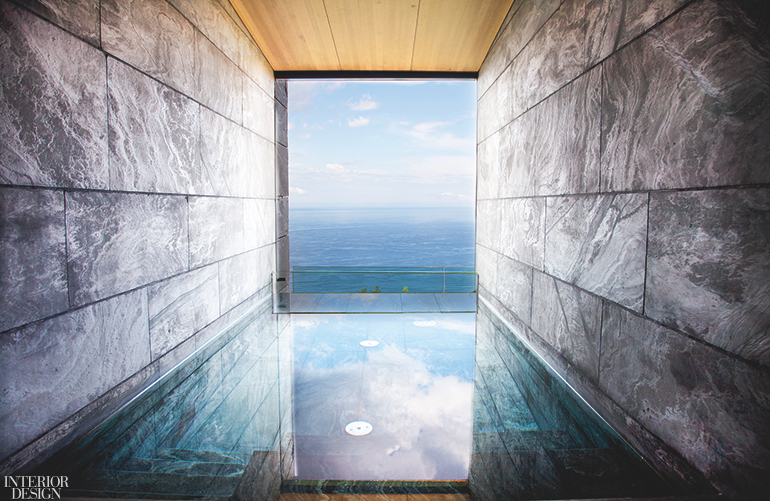 A suite’s plunge pool overlooks the Bay of Biscay and the Canta­brian Sea beyond. 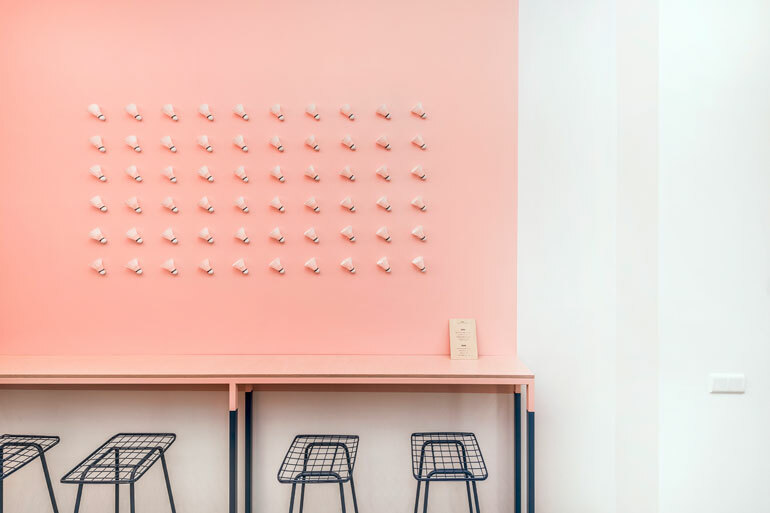 Walls painted cotton candy pink mix with a grid of badminton birdies, and stools are powder-coated steel. 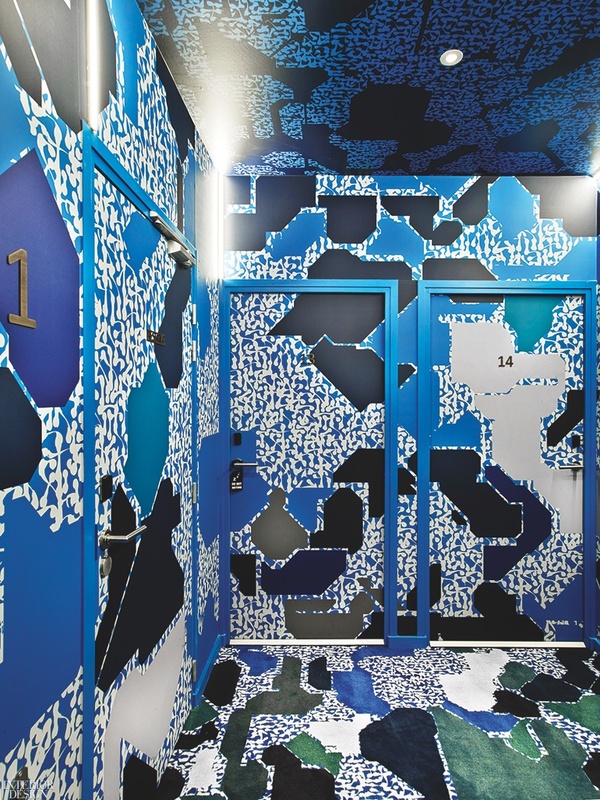 Lek & Sowat designed the first-floor corridors, including the custom acrylic carpeting. 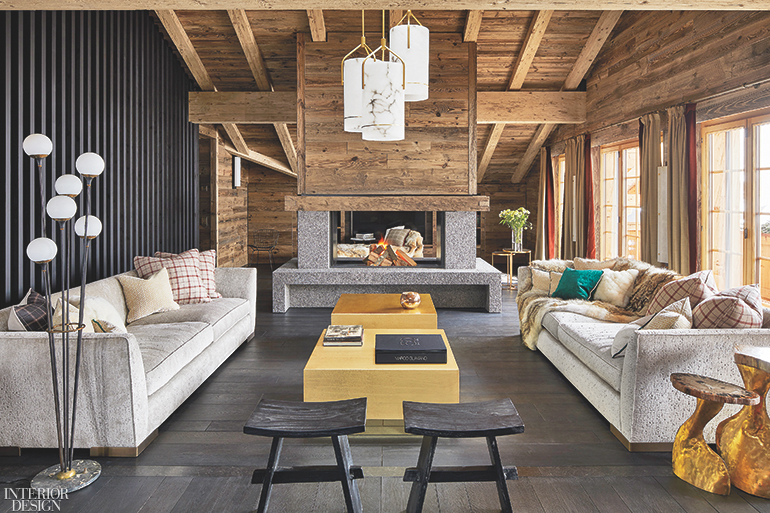 The living area gathers sofas covered in cotton and brass cocktail tables, all custom, before a Belgian limestone fireplace.